Whilst en route to investigate an assassination threat, Drake and Mai Kitano are blown out of the skies and cast adrift in a storm-tossed ocean before being marooned on a deserted island. Back home, the clock is ticking, but the deadly jigsaw puzzle of events refuses to fit together. Assassins stalk the streets of Washington D.C. Civilians are being murdered by ordinary-seeming Americans turned expert killers, for no apparent reason. Hayden and her team search for the fateful link between five total strangers. Mai tries to almost single-handedly capture the enemy island, and Drake storms his way over land from North Korea and across China and Europe, destroying a human trafficking ring as he goes. 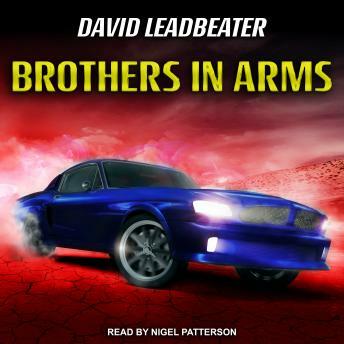 As the pieces finally come together and time is running out, the new team are thrust into a literal race against time: a deadly interstate contest of vehicular warfare, where only the hardest, fastest, and most capable men and women will make it out alive.